Are you looking for a sewing machine ideal for beginners? 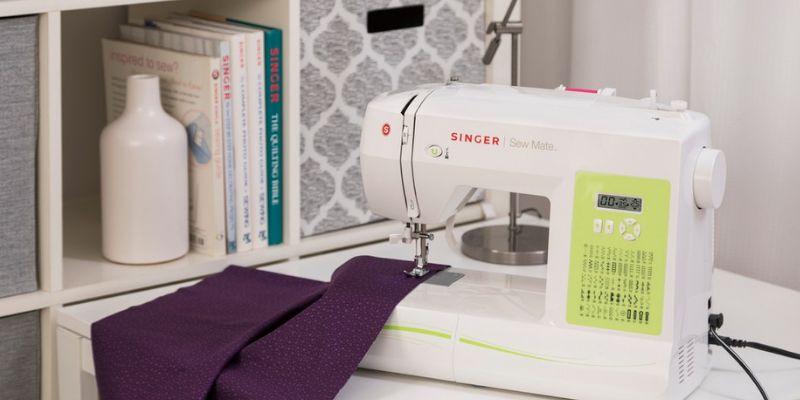 If you want a machine that is good at what it does and affordable, then Singer Sew Mate 5400 is the one for you. This machine is perfect for beginners. It’s also great for users who are not ready to invest a lot of money. Similarly, it works great for experts as well. With it’s easy to use features, low cost, and portability, anyone can enjoy this machine. Singer is a renowned name in the sewing industry. Just like other sewing machines, this one also did not disappoint. Keep on reading this sewing machine review to find out more about this machine! 1.3 Singer 5400; Is It Portable? 1.6 Where Can You Buy This? 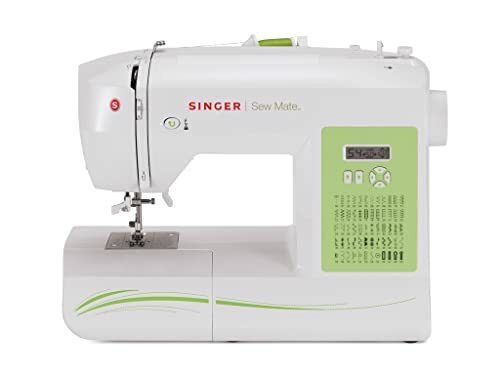 This Singer machine is a beginner level machine, and its price is beginner level as well. As with every other product in the market, less money means fewer features. Nevertheless, when comparing this machine with other budget ones, you can be assured that Singer offers more features. For users who like to sew casually, this machine will be quite satisfying. They can spend a small amount of money and not miss out on some appealing features. This machine comes with a 25-year warranty. This includes a 5-year warranty on the electric component. Moreover, it also has a 1-year warranty on necessary adjustments. This machine comes with a Quick Start Guide. It also contains a Machine Intro DVD. With these two things, even the newest users can start on their project. Similarly, setting up this machine is a no-fuss process. Due to the DVD included, you can get full advantage of all the features of this machine from the first day. These feet pressers allow you to change to whatever you need whether you have the right supplies or not. These three options ensure that you start with your project immediately. Singer 5400; Is It Portable? Apart from beginners, this machine is also great for travelers. People who are nearly always on the go can be attracted to this machine due to its portability. This machine has built-in storage for accessories. Even though this machine could not come with a cover, but you can easily pack it up. You can also purchase Singer’s universal cover for a few extra bucks. The compact size of this machine is exactly what a traveling sewing fanatic need. 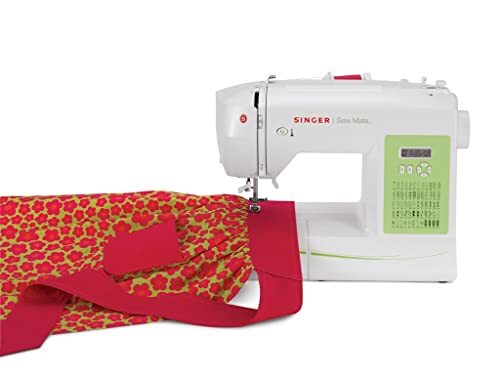 Whether you want to travel with your supplies or you want to move your sewing stations, Singer 5400 Sew Mate is exactly what you are looking for. The weight of this machine is less than 14 pounds. Its dimensions are 16.5 x 7.8 x 13 inches. With these in mind, you can understand how easy and portable this machine is. Considering all the features packed in this machine, portability is a huge advantage. This machine is cheap and can be moved easily unlike other bulky and pricey machines. 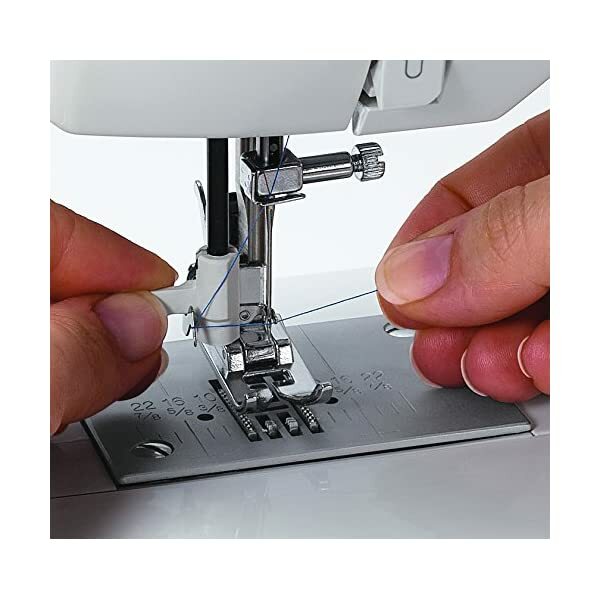 For users new to the world of the sewing machine, these features can make your life easier. Both of these work together to make your projects hassle and headache free. If you are aware of manual stitch adjustment, then you must know how time-consuming it is. Adjusting stitches manually can be frustrating. However, with this machine, you can save yourself time by simply pressing some buttons. With this machine, you can exactly set the length and width of the stitch. But that’s not all! You also get automatic reversal capabilities. If you want to reinforce your stitch, then skip the re-aligning and adjusting. Just press one button, and this will send your machine in a reverse mode. 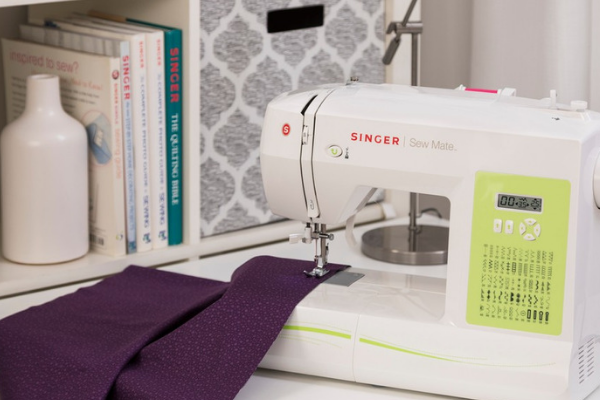 In addition to the built-in stitches, Singer boasts an automated needle threader. This threader makes sure that your project is not slowed down. So, you can say goodbye to straining your eyes by threading a needle and let Singer 5400 take care of it for you! Moreover, this machine is a free arm convertible. Now whether you are working on dolls, clothes or other hard to reach areas, this machine will take care of it for you. Without addressing the negatives, this review will be incomplete. Some disadvantages of this machine are its loud noise. This noise can be due to a faulty machine so contacting Singer can fix this issue. However, the bobbin holder of this machine is also fragile, and the stitch quality is not consistent all the time. Apart from this, this machine works perfectly. Singer has a huge name in the sewing world. For this reason, its machines are available readily. Most people you talk to have heard about this brand or have Singer’s machine in their household. You can even find their machines online or at your local stores. And of course, you can find this machine at Amazon. Overall, this machine has some great features. With its price point, this machine does wonders. Entering the sewing world can be expensive, but this machine makes it quite easy. By investing a little amount of money, you can get a great product. In addition, you do not miss out on the appealing features. It is easy to use the machine. You can also make use of 60 built-in stitches and automated needle threader to carry on with your projects. Overall, this machine is perfect for traveling. So, grab this machine and start sewing right away!